CEBU CITY (Feb. 11, 2016) — Johndorf Ventures Corporation (JVC) launched today a policy that would further shape the character of the company with its employees, contractors, brokers and agents to be more responsive to customers and homeowners. 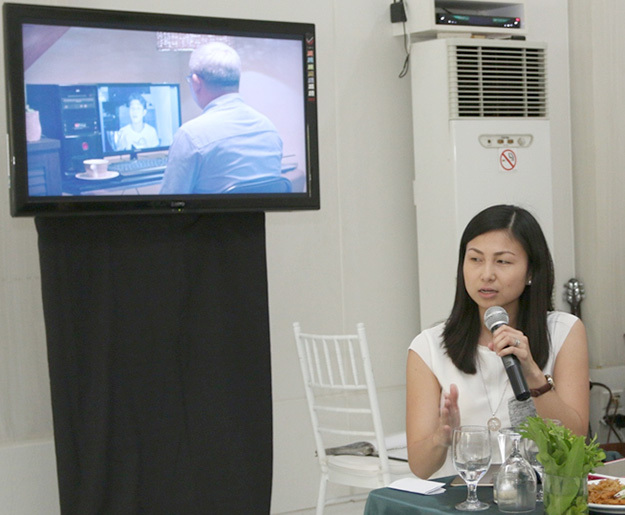 Managing Director Frances Abegail Lim (left) explains the heart and soul of “Always There,” as JVC EVP Norma Lims looks on. JVC initially developed the program, “Always There,” as a marketing campaign to promote the message that Johndorf will “always be there in every way” to attend to the needs of customers from the time they inquire about properties to buy. Being well attuned to the company’s vision to be “a leader in quality living for every Filipino” and its mission to “build sustainable communities,” as well as the objective to “harness lasting relationships,” it evolved into a total program. “We want Johndorf to be company of choice for buyers because we are attentive to their needs, and much more when they become homeowners and part of the communities we develop,” declared JVC managing director Frances Abegail Lim. “Our promise has evolved that, beyond our effort to strengthen our brand, we build relationships with our present and future homeowners,” she explained. As a marketing campaign, the program, encapsulates how Johndorf will handle and deal with customers from the time they inquire about housing packages available, through the moment they choose their new home, and even after they move in. explained Michele D. Chiu-Bacungan, JVC sales and marketing manager. “The campaign is also part of the company’s continuous thrust of providing better service to our customers and give them, as we express in our slogan, ‘A Better Life,” she pointed out. 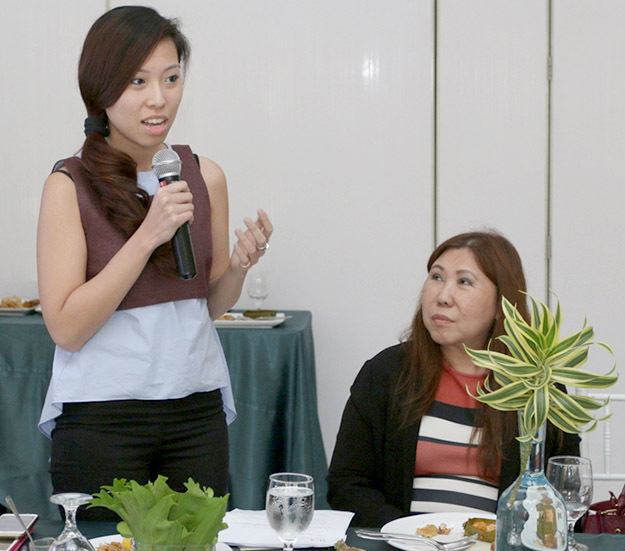 Sales & Marketing manager Michele D. Chiu-Bacungan points out the relevance of “Always There” to homeowners. A key player in economic housing development in the Visayas and Mindanao, she said JVC is building its capability to deliver better services and value, while giving importance to trust and commitment towards customers. An innovation that will soon be activated is an online reservation system that will cater to customers abroad and elsewhere in the country who may want to resettle in Cebu or at places where JVC is developing communities, Bacungan disclosed. “The market we serve will continue to invest in homes that they can call their own, creating memories and harnessing relationships with family and friends,” she told the press during the media launch for “Always There” at Laguna Garden Cafe at Ayala Center Cebu in this city. Lim expressed hope that “Always There” will further establish JVC as a trusted brand in economic housing in Cebu and in northern Mindanao after the launch of the campaign next month in Cagayan de Oro City. Building better communities for 30 years now, JVC is currently developing the fourth of six subdivisions named Navona at Johndorf Communities in Calawisan, Lapu-Lapu City and had just launched this month Portville Prime also in Mactan. The company will soon launch another project in Carcar City towards the third quarter of this year when “Always There” will also be launched there. This entry was posted on February 11, 2016 by Cerwin in Johndorf Ventures and tagged Always There, Cebu property, economic housing, Johndorf Ventures, real estate.